Colonel Sanders is back, America! And he feels like a new man. Again. Just like he did the last time. In its first five days, this second campaign for Kentucky Fried Chicken allegedly "broke the internet." It trended on Facebook for two consecutive days, was covered in 445 media stories, generated over 1.84 billion impressions and sold a lot of chicken. We also had an interesting conversation with Roseanne Barr on Twitter. And no one can take that away from us. 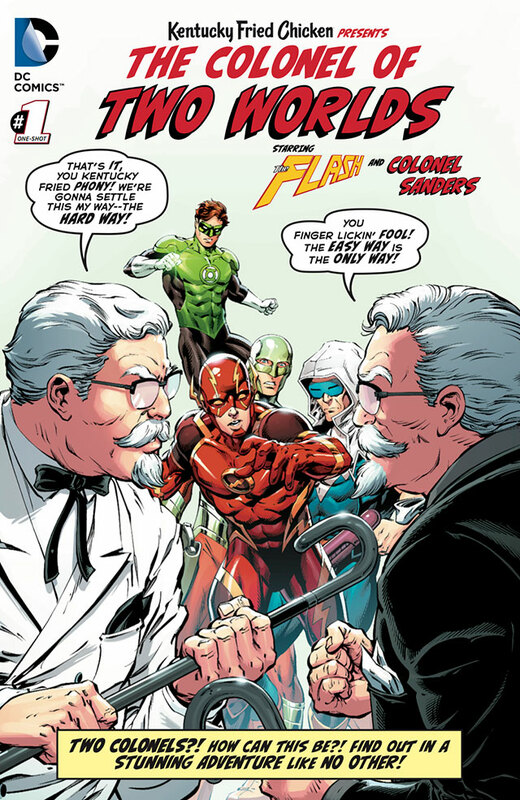 We also worked closely with DC Comics and their "Multiverse" to create this special one-shot comic book inspired by "Flash of Two Worlds" for Comic-Con that was available at the convention and online at http://www.kfc.com/comic. The piece got great reviews and had some nice coverage in The Hollywood Reporter and ComicBook.com. 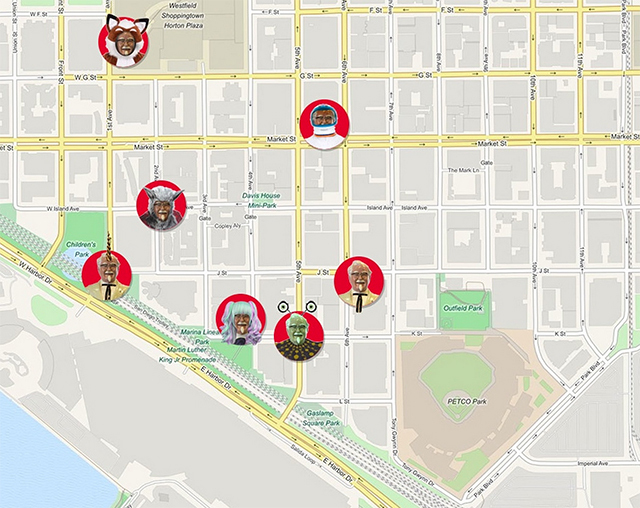 For the San Diego Comic Con, we set up comic-themed Colonel Sanders statues around the city that doubled as wifi hot spots. 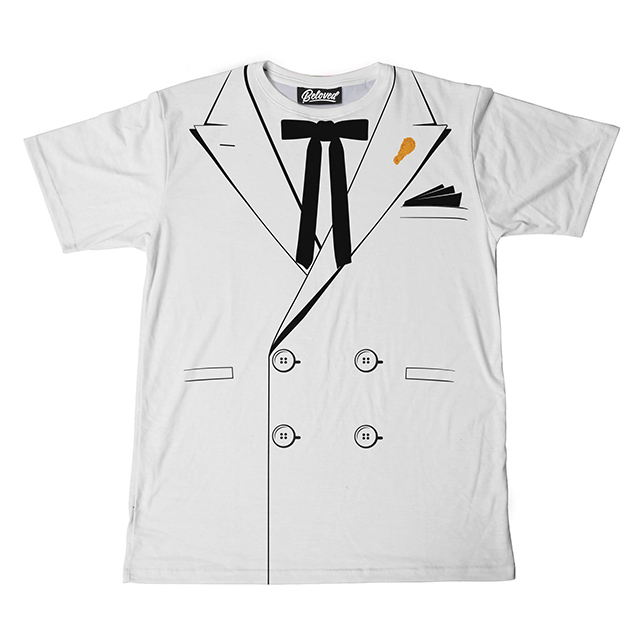 And if anyone needed a Colonel Sanders costume for Comic Con or Halloween or just for general fried-chicken-making activities, we made these available for purchase. 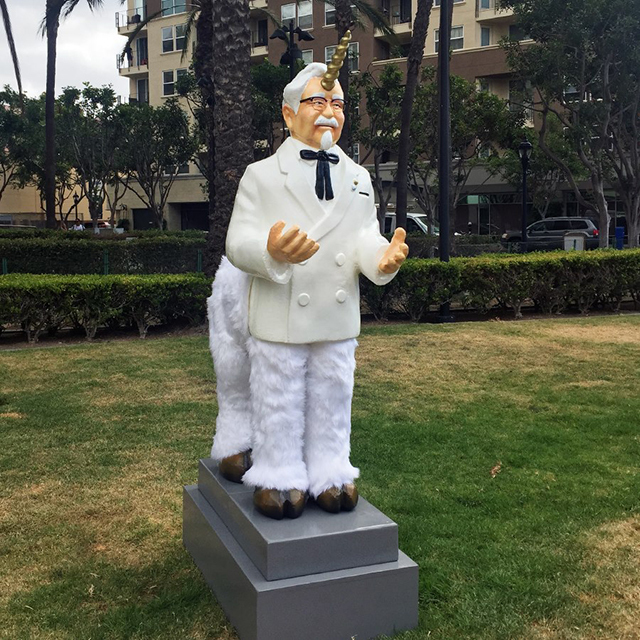 And we made sure The Colonel's LinkedIn profile was up to date in the event anyone used that free Comic Con wifi to look at his impressive resume. 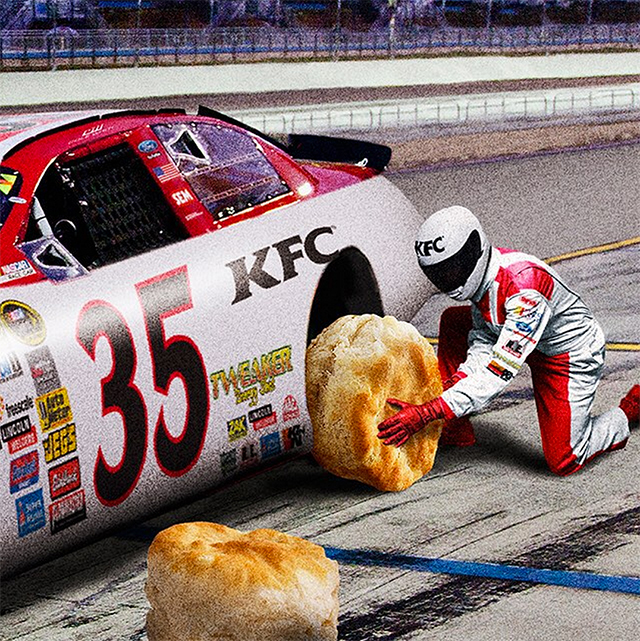 A resume that featured a lot of odd jobs and hobbies before he started Kentucky Fried Chicken at the age of 65. 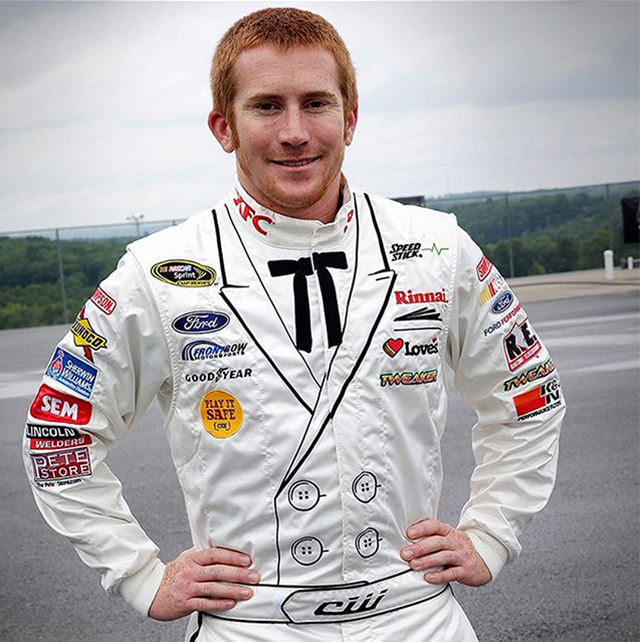 We also updated KFC's NASCAR and driver Greg Biffle's fire suit. Some innovation ideas worked better than others.